Cloud Computing uses the Internet and central remote servers to maintain data and applications. It allows consumers and businesses to use applications without installation and access personal files at any computer connected to the Internet. Centralizing storage, memory, processing, and bandwidth results in far more efficient computing. To get the best results from Cloud Computing, you must first become familiar with it. Since its inception, there have been many misconceptions about Cloud Computing among the tech crowd. To best understand it, you must realize that it is not a technological revolution-but rather, an evolution of business process. Cloud Computing offers a platform for the design, development and deployment of web applications making it a model for use of IT as a service over a network. It offers improved scalability, flexibility and efficiency while reducing costs. Cloud as a SaaS (Software as a Service) - cloud computing can be running a single software that can serve multiple end users or clients. Cloud as a PaaS (Platform as a Service) - a platform to support other services. For instance, Google Apps Engine. As a result, Cloud Computing is one of the most efficient ways with today’s mission-critical business requirements. Services technologies, when employed alongside other core technology enablers such as virtualization and modeling, will result in dramatic benefits for customers’ IT departments Microsoft’s Azure, which launched this past February, is simply a framework that makes use of Cloud Computing. Since it doesn’t require any downloading of software, Cloud Computing provides the flexibility for team members to work anytime, from anywhere. It can also integrate videos into documents or presentations and enables easy sharing of the work and documents with the other executives. These days, Cloud Computing is being used for everything from banking convenience to business productivity. Can it REALLY Do Everything Conventional Software Can Do? 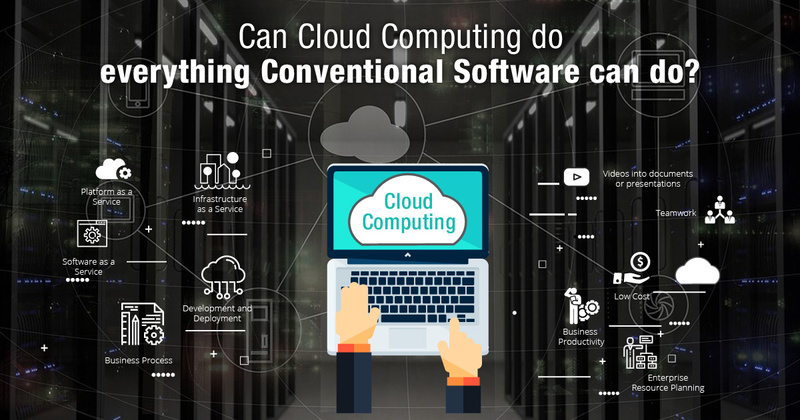 It certainly can, as the SaaS of Cloud Computing is mushrooming day by day - especially with Google, Amazon and Microsoft already taking advantage of it. Thanks to Cloud Computing, Enterprise Resource Planning (ERP), once available only to the big IT companies, is now affordable for small and medium size companies with Internet-based software services. Finally, as Internet use continues to surge, Cloud Computing as SaaS is the best way for mobile users to make use of Web-based application from anywhere, at any time. 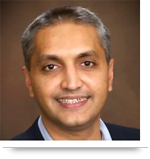 When employed alongside other core technology enablers such as virtualization and modeling, service technologies produce dramatic benefits for customers’ IT departments. Specifically, these technologies will enable a new and more dynamic world, where IT departments can drive down operating costs; focus their spending on systems that differentiate the business. In essence, Cloud Computing can cut costs and unlock innovation-ultimately enabling IT to become a more strategic asset for a business. Call us at 484-892-5713 or Contact Us today to learn more that Cloud Computing can do everything which conventional software able to do. Secure and Safeguard your Cloud Data with an IT Consultant. Cloud computing really is the future of our world!